This was one of the conclusions at the IAB webinar, hosted by Bango last week where executives from mobile agency Somo, Millennial Media and Yahoo shared their views on how to track success on mobile. They all agreed that measurement is at the heart of mobile marketing, giving brands the data they need to target and personalize their offerings and more importantly to build customer engagement. But they also highlighted that there’s still a lot more work that can be done in terms of education, to get more brands to understand how mobile can be integrated effectively into the marketing mix. One question from the audience in particular focused on this subject. 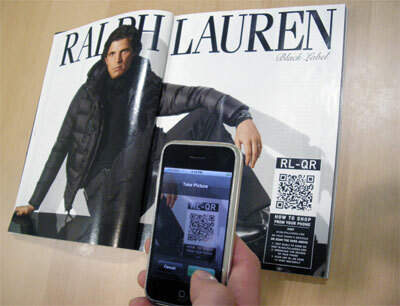 As for integration, how many clients are putting mobile into their initial marketing strategies? Is it intended, or more of an afterthought? There’s a lot more work that can be done in that area. Mobile is more often than not regarded as an afterthought. But some brands are leading the way and ensuring that their mobile agencies are interacting with their offline agencies, coordinating their expertise for integrated planning. There’s a lot of benefit to this. For example if you’re walking around the street and you see an ad/poster board, you very often have your mobile phone with you. This is a huge opportunity to integrate and potentially close the loop and see how offline activities can be integrated with mobile, by using QR codes and shortcodes for example. This can help create powerful and deeply engaging campaigns. There are more cases where campaigns require personal details like email address or phone number for example, for consumers to receive follow up information. And yes people are still willing to give their details to receive information. Years ago it was more difficult but this has now changed and it’s being accepted by consumers. The mobile user mindset is different, they more engaged now. They’re already predetermined to participate so are happy to provide their details. The mobile user is very engaged. At Bango we see a lot of people doing mobile billing, willing to provide their email address. When doing a billing transaction, we ask users if they’d like to provide their email address to get a receipt and 95% fill out their email address. Once they’re engaged with their brand, people are quite happy to provide their personal information which can create a much better experience. This entry was posted in mobile advertising, mobile analytics, mobile web and tagged IAB, Millennial Media, mobile advertising, mobile analytics, mobile billing, mobile campaigns, mobile marketing, Somo, Yahoo. Bookmark the permalink.